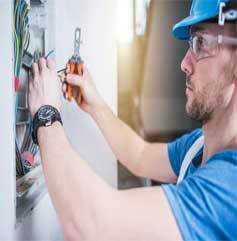 ROCKFORD'S HIGHEST RATED ELECTRICAL SERVICE Specializing in circuit breaker panels, surge protection and new circuits for your home or your business. What Type Of Work Are You Looking To Get Done ? We are a full-service electrical contractor ! Bock Electrical Services Provides Residential Home Electrician Services with the Same Care and Expertise We Would if You Were Our Friends and Family. At Bock Electrical Services, we understand that there is a level of trust that’s involved when letting a general contractor come to your house. We treat others the way we would want to be treated Luke 6: 31. We AIM to PLEASE and Strive to do only the best work possible and have gained a high level of trust through our quality work. 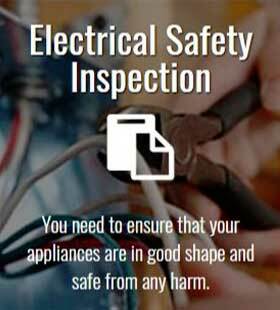 We will do everything we can to make sure you have an excellent electrical experience. We are devoted to meeting the electrical contracting needs of residential, commercial and industrial accounts through seasoned, licensed electricians that place safety. Bock Electric is committed to providing the industry’s best service and ensuring electrical solutions which are safe, accurate, innovative and cost efficient. Whenever you want a topnotch electrician , take benefit of Bock Electrics 30+ years of experience on the market. 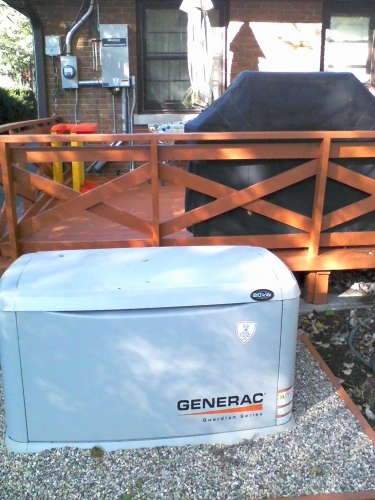 ROCKFORD ILLINOIS & WINNEBAGO COUNTY IL LEADING ELECTRICAL CONTRACTORS & GENERATOR SERVICES. Bock Electric is a full-service electrical contractor known for safety, credibility and creativity in electrical installations for over 30 years., Providing fast, reliable, and honest electrical services. We are a family owned full-service residential / commercial electric company. We service Rockford, Loves Park, Rosco and Winnebago County Il. Specializing in Installing circuit breaker panels and installing new circuit breakers. We install surge protection units and recessed can lighting. We’ve developed a reputation for top quality, innovation and absolute client satisfaction. Whenever you decide to work with Bock Electric, you’ll not be disappointed We also provide Generator Repair and Electrical Power Solutions for home and business. In addition, you can expect the highest level of professionalism during every stage of your electrical service process. 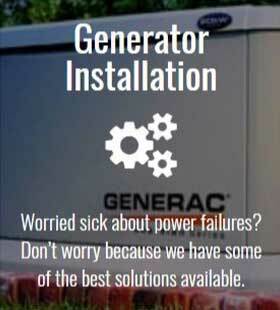 Install complete (Generac) back up Power systems. Perform troubleshooting and FIX problems. Repair ALL code Violations to electric code. We Install underground circuits to swimming pools, hot tubs, Garages, & more. We Replace & Remove defective lighting ballasts. 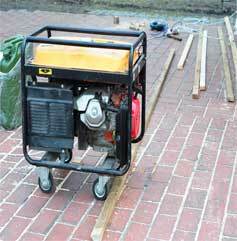 We install new service upgrades by permit. We install larger circuit breaker panels to expansion for more breaker space. We Rewire receptacles to meet Z wire code Rule and Install New grounds as required. We install commercial/ Industrial 3 pare circuit panels and breakers to machines. We install all Emergency exit and emergency Lighting Units. We Repair All Real Estate transactions that require clearing of ALL code violations, including GFI receptacle installations, repair of panel double taps, Install missing grounds etc. Do you need help ? Request a Call Back ! Is Your Illinois Electrical Panel Safe ? The electrical panel is the heart of your house or commercial business electrical unit, and this makes it critical that you make sure your Circuit panel is in the best shape. 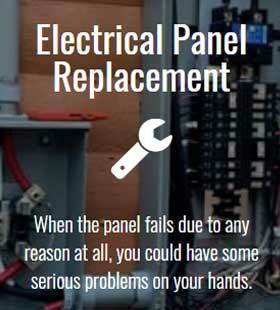 If there is something wrong with your panel, it is an immediate safety hazard. Do you know if your panel is safe ? If you have any ideas about having an outdated electric panel, you should have this checked out Today. In the case of breaker panels, it is much better to be safe than sorry. At Bock Electric, Our electricians are trained to handle all of your electrical panel issues If you have any problems with your panel, you can trust us to diagnose them correctly and to do what is best for you. Unfortunately, faulty panels have been installed in houses all across the country. Many of these panels have been recalled because of the severity and quantity of problems that have resulted from these panels. 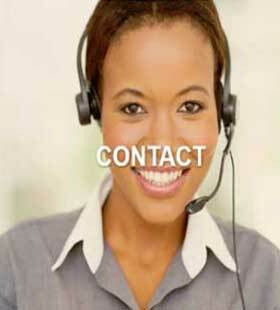 If you have any concern regarding your panel, give us a call. We will give you a free quote to make sure that your house is safe and sound. Need electrical wiring work done ASAP ? Give us a call today, and we will come to check out your situation. We are upfront and honest with you and will give you the entire price of the job before we ever start working. We will help with any wiring needs including house wiring, basement wiring, electrical rewiring and more. We are a trustworthy Rockford electrical company who will help with any electrical wiring needs. Our reputation is honesty and hard work, and we promise to bring that to every job. We have a reputation for timely, excellent work, which is displayed by our outstanding reviews from our customers. We are the electricians you can trust ! If you require electrical wiring work, give us a call today (815) 544-2000. We are always happy to help. Out outdoor lights were not working. I called bock electric. He came out very quickly, found the problem and fixed it for a reasonable price. Friendly and courteous too. I called for service and responded back within 10 minutes. Service was great very friendly. Took time to check all electrical after fixing a problem plus checked box. Thank you. I would recommend Boch Electric to anyone needing electrical work done. This is the second time over the years that I have called upon them. They are reliable and do excellent work. Increase productivity, improve security, and lower your energy costs with our efficient lighting design services.